A Robert Trent Jones Jr. design, the Eagle Golf Course at Banyan Cay Golf Club & Resort (previously known as President Golf Club) boasts championship Bermuda greens. 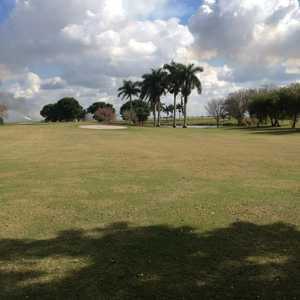 Jones also lined the fairways with coquina and accented the course with pampas grass, both of which help bring out the beauty of the natural landscape. 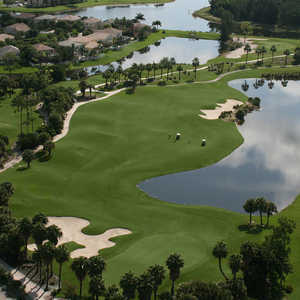 Featuring six different tee positions, Eagle stretches to 6,887 yards from the longest tees. The multiple starting points gives Eagle the feel of accessibility, while providing a real challenge to the seasoned golfer. Designed by: Robert Trent Jones, Jr.
We played the course for the first time last week and were pleasantly surprised at the prestine conditions of the fairways and greens. 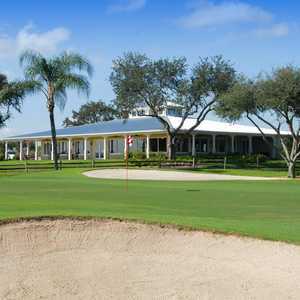 We were treated like members as soon as we arrived and the club house staff were friendly and courteous. The layout is beautiful but you have to play smart or you could lose a lot of balls in the water. There was a slow group ahead of us but they were warned to pick up the pace because we got a notification on our gps board. Overall good value for the money especially at discounted rate. Would definitely play there again.